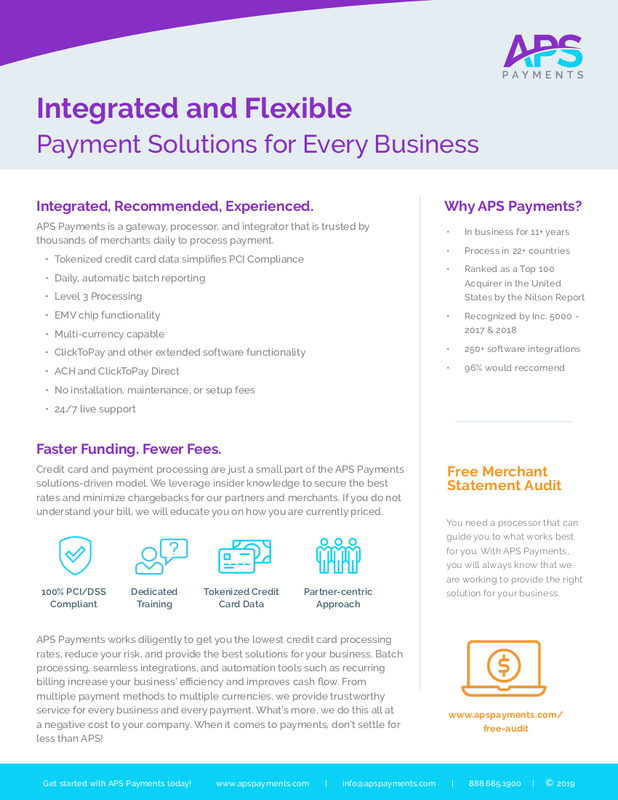 APS Payments offers flexible and integrated payments for every business. APS Payments is a gateway and processor that is trusted by thousands of merchants daily to process payments and works diligently to get you the lowest credit card processing rates, reduce your risk, and provide the best solutions for your business. Batch processing, seamless integrations, and automation tools such as recurring billing increase your business’ efficiency and improves cash flow. From multiple payment methods to multiple currencies, we provide trustworthy service for every business and every payment. What’s more, we do this all at a negative cost to your company. 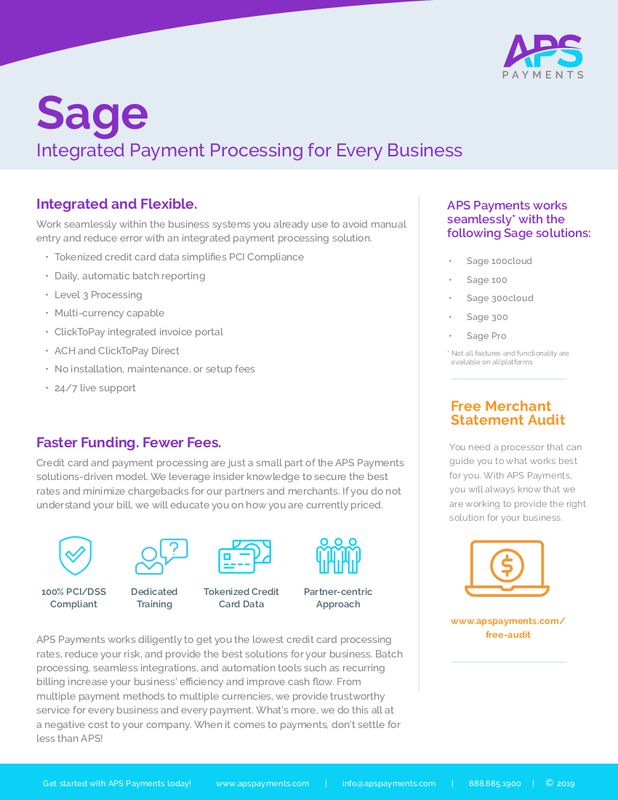 APS Payments is seamlessly integrated with Sage100 as well as hundreds of other ERP, eCommerce, POS, and Mobile applications. If a prebuilt integration is not available for the business solutions you use, an API is available to develop a custom integration. 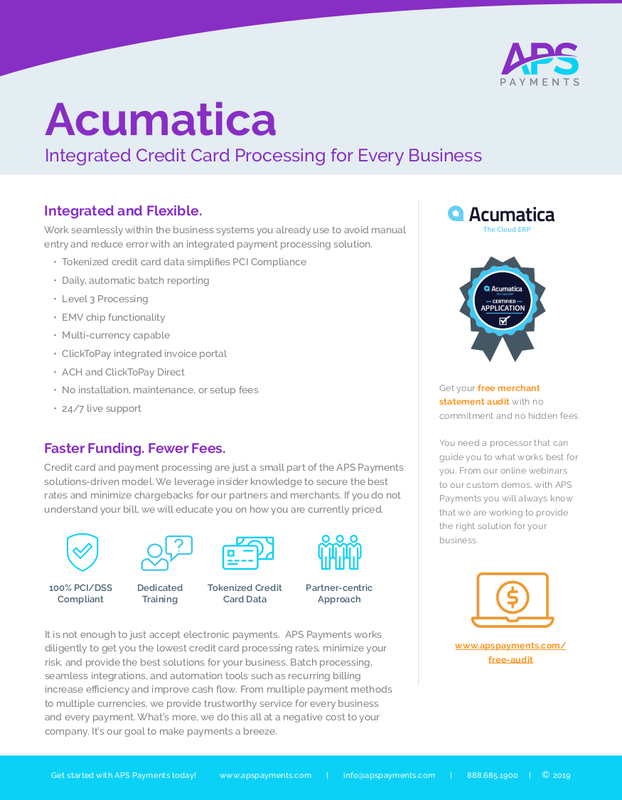 When it comes to payments, don’t settle for less than APS!